The Salesforce purchase of MuleSoft sets up a showdown between massive cloud software vendors and microservices, creating a dilemma for digital leaders who are defining their next-gen system strategies. The level of innovation dictates the choice between rent or build. If a service is a commodity used by most organizations, there is likely to be a SaaS vendor for it. If the service is not there—if it’s something new—a team is put together, and they build it. And, it evolves on its own. In a reflection of Conway’s Law, autonomous teams manage the service in CI/CD mode at a fast pace fueled by change. Typically, this service reuses APIs from others and adds new logic and state. In other words, it manages its own repository of data. It becomes a microsystem of record with logic, and the APIs it provides are eventually woven into an organization’s fabric of services and data. Using rented services means being okay with adapting to whatever function they implement and relinquishing the control of the release cycle, so it’s important that these services address areas of the business that follow industry best practices and that change is minimal. For the parts that implement the specific requirements, a big backlog develops that has to be addressed—fast. It can only be flushed by controlling the CI/CD pipeline. And, so these smart teams keep integrating, building, changing, and delivering. MuleSoft is in the midst of all this. It calls it the “composable enterprise.” It sees everything as pulverized microservices, and with its integration platform its ambition is (or used to be) to stitch them into something bigger. At the other end of the spectrum are Salesforce, Workday, SAP, and Oracle. They exemplify what I call “megacloud.” They follow a strategy similar to that of the enterprise software suites of the 1990s, which combined ERP, HR, CRM, and others into monolithic packages. Today’s megaclouds increasingly operate on that same “one-stop shop” premise. Companies think they can get flexibility, customization, and uniqueness inside this megacloud, but the fact of the matter is that those pickings are slim. They rely on last-mile UI customization and narrow parametrization of workflow and data for the back end, so the customization and uniqueness gains are small. What does this kind of divergence mean to those leaders reviewing their strategies? It depends. There are conservative, slow-moving enterprises that succumb to the allure of the monolithic cloud. They believe that if you get everything from the same place, it will all work together better. Interestingly, the nimble, rapid-fire companies like Netflix, Twitter, Amazon, and Spotify subscribe to the pulverized model. And what do their histories tell us? They’re the innovators. They’re the ones at the top. 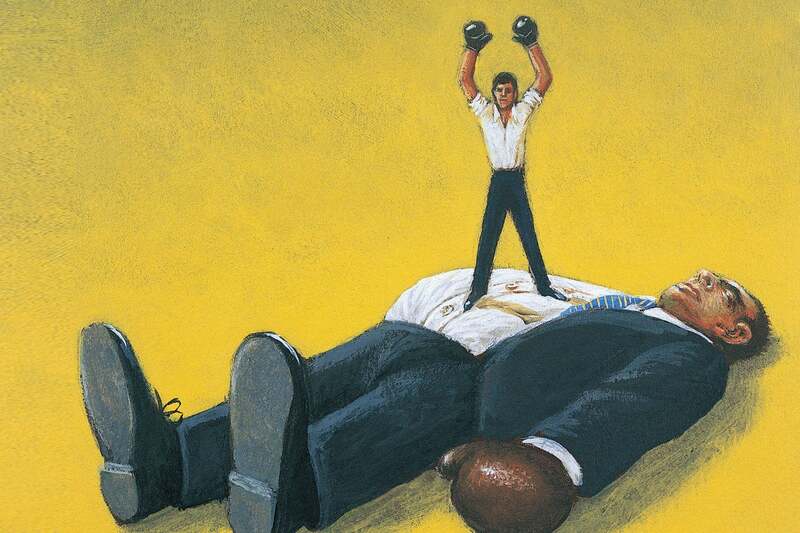 So, if you want to be an industry leader, you cannot go to a megacloud; you have to fight the megacloud. In fact, you should pulverize it. Innovation comes from stitching together best-of-breed parts, functions, and data sets unique to your business, and the complex definitions of the UI experienced by your employees, customers and partners. With all that said, why would a megacloud buy a company that advocates for “a composable enterprise of micro things” strategy? It’s an interesting move. Fundamentally, it’s because that company is an on-premises-to-cloud integrator. But organizations should still wonder whether by going the route of being a “X vendor house,” they will retain the capacity to reinvent their business constantly and fight the good fight with upcoming digital-savvy competitors. The real question is, which corner are you in? Paulo Rosado is the Founder and CEO of OutSystems, the number one low-code platform for rapid application development. He is a sought-after speaker and expert on digital and business transformation, low-code and application/software development.